Unexpectedly Great - But What Is With All The Dull Blue Tint??? 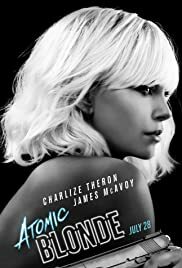 The story line is fascinating and so is the performance and body of Charlize Theron. Literally the one movie from 2017 one could compare to classic James Bond but this time it goes with the standard female is da best formula of Hollywood.